The result is a shimmering, highly water-resistant surface which further accentuates the grain. An attractive contrast to this is formed by the edging with gleaming chrome sections. , We use only African Blackwood from certified, sustainable plantations. 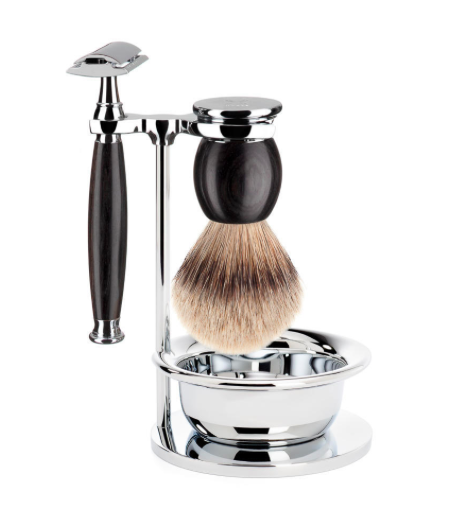 Among connoisseurs, silvertip badger is regarded as the piece de resistance: Only the best, carefully selected badger hair is used for these purely handcrafted shaving brushes. The precious natural material is particularly soft and flexible.